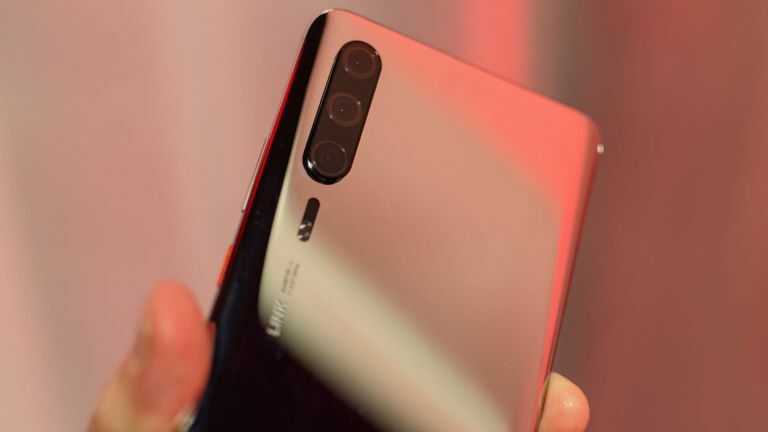 The Huawei P30 Pro has leaked in real world photos that reveal a triple lens camera with a cool new feature – thanks to the leaky rooms of MWC 2019. Despite Huawei planning to launch its P30 and P30 Pro phones at a March 26 event, almost a month early the handset has leaked. Digital Trends apparently stumbled across the handset in a private room at MWC. They got plenty of photos of a dummy model which shows the rear of the handset with that new triple lens camera. The screen was not photographed but a hole punch design was alluded to. Check out what escaped from that room below. As you can see the branding isn't final. The mention of Vogue refers to the P30 Pro codename while the word Link will likely be replaced with Leica. The name next to the new camera setup – which has all three lenses in one unit rather than a two and one setup like on the P20 Pro – says Summitor. This sounds very similar to Summitar which is a 50mm Leica lens – one known for zoom, so this could be that 10x zoom rumours have suggested. While this phone won't have a quad camera, as rumours had us excited about, the source says that there may be a 5G Huawei phone which has that next-gen camera due out later in the year. So, all in all, this sounds very similar to the P20 Pro – which was and still is an amazing phone. This could be a good time to grab yourself a deal on a P20 Pro as they try and clear out stock of the old models ahead of the March 26 launch event for the P30 Pro.